According to The Australian, Scentre unveiled the $475 million redevelopment of Westfield Miranda, completing the first major development for the group since it was spun out of Westfield. Scentre chief executive Peter Allen and Dexus boss Darren Steinberg were joined by the “face” of the centre, model and aspiring singer Cheyenne Tozzi, to cut the ribbon for the new mall’s extension. The redevelopment was ­undertaken by joint owner of the centre with the Dexus Wholesale Property Fund. The extension has added 19,000 square metres and 100 new retail outlets to the centre, now totalling 127,000 square metres. However, many of the stores only plan to open from early next year. 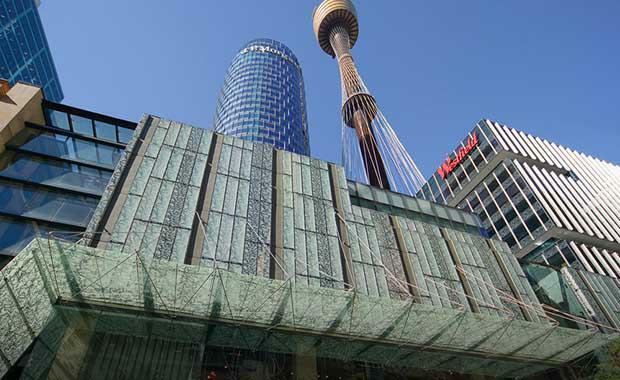 “Westfield Miranda is the blueprint for our future redevelopments,” Mr Allen told The Australian. Scentre has identified $3 billion worth of development projects across 12 centres in Australia and three in New Zealand. In September the mall owner unveiled its near-complete $400 million redevelopment of Westfield Garden City in Upper Mount Gravatt, Brisbane. The group’s next project will be the $450 million expansion of Westfield Knox in Melbourne’s outer-east, expected to start in 2016 and will be opened in stages from 2017. CLSA analyst Sholto Maconochie predicts Scentre will spend $538 million per annum over the next six years including projects it will develop for other mall owners. However, following Scentre’s $929 million deal with GIC, Singapore's sovereign wealth fund, to sell half-stakes in five of its New Zealand centres with a combined gross value of $2.3 billion. Macquarie analyst Paul Checchin warned that the company still lacked the balance sheet capacity to fund its development pipeline without selling off more of its malls. Mr Allen told the Sydney Morning Herald that a strategic focus of Scentre Group is the introduction of joint-venture partners into some of our wholly owned assets, with the capital proceeds available for redeployment into the development pipeline and the repayment of debt. This strategy is also expected to be employed in Australia in the coming year across its 42 malls, including Westfield Miranda.